After spending the last week in the Florida sunshine I was pretty okay with the lack of snow this winter has brought us. But then, we got a snowstorm and everything was a pretty winter wonderland.. and I didn't seem to mind so much. I happily took my Sorel boots out of storage and I think the pure joy on my face in the first picture pretty much says it all! I can't believe New Year's Eve is already here! I'm so exhausted from the excitement of travel and the holidays that I'm really looking forward to a low key home cooked meal with Kyle & family. Is it bad that I just want to spend all weekend in my pajamas reading all the books I got for Christmas and filling out my new Emily Ley planner? 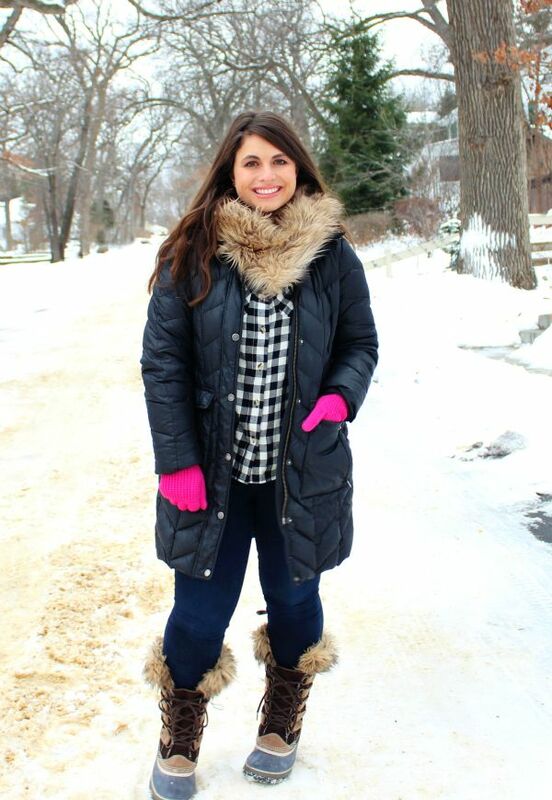 I'm pretty sure this buffalo plaid flannel is the next best thing to P.J.'s! Can you believe I'm coming up on my 5 year anniversary of living in Wisconsin? It's a small miracle that this Florida girl is surviving and thriving in cold weather. I think I owe it all to my trusty down coats & waterproof snow boots. 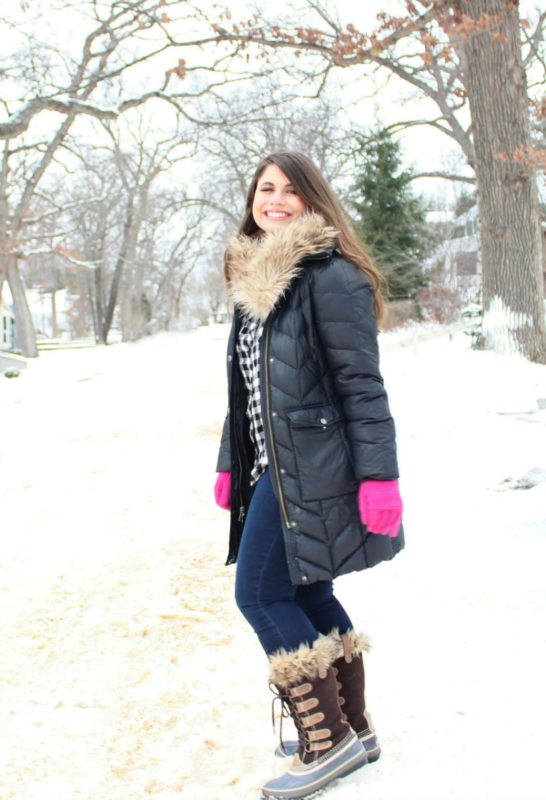 Nothing keeps you warmer when it's snowy and frigid and you have a million errands to run! Lucky for you winter came late this year, so you can score some great deals on chic coats and boots. I hope everyone has a happy New Year's Eve. I can't wait for 2016! This is such a cute winter outfit. Those winter boots look so perfect for the snow!! Happy New Year as well!